Last month, the American men joined an ignominious list of high-profile nations — Chile, the Netherlands, and, most recently, Italy — to suffer surprise elimination from the World Cup qualification rounds. The Americans’ fateful loss, on the road against Trinidad and Tobago, left the federation in something of a prolonged tailspin. Bruce Arena, who was hired as the team’s coach in November 2016, midway through the qualification cycle, to shepherd a listing squad to the World Cup in Russia, resigned days after the defeat, leaving a staff of assistants to guide the team at least to end of the year. The future of the federation’s presidency remains up in the air with an election coming in February. In the previous three quadrennial elections, Sunil Gulati ran unopposed. This time, there already are enough challengers to fill a small-sided pickup game even without Gulati, who has yet to declare whether he will enter the race. 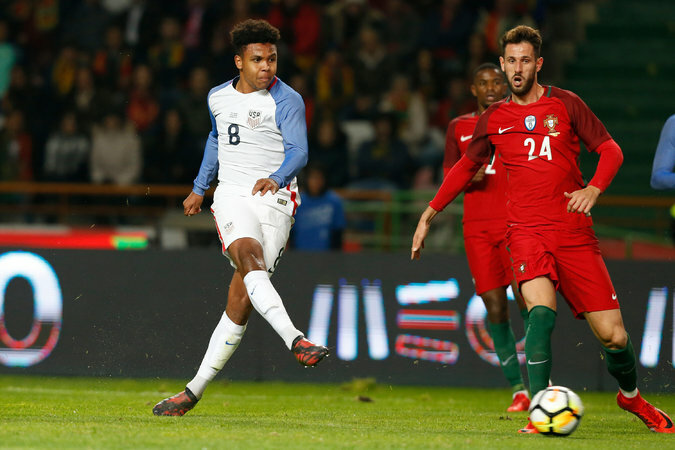 Weston McKennie scoring the Americans’ lone goal on Tuesday.